Louis de Broglie – French physicist. 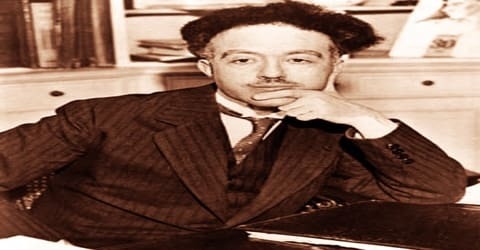 A French physicist best known for his research on quantum theory and for predicting the wave nature of electrons, Louis de Broglie was born on 15 August 1892 to a noble family in Dieppe, Seine-Maritime, younger son of Victor, 5th duc de Broglie and Pauline d’Armaille. In his 1924 PhD thesis, he postulated the wave nature of electrons and suggested that all matter has wave properties. This concept is known as the de Broglie hypothesis, an example of wave-particle duality, and forms a central part of the theory of quantum mechanics. Quantum mechanics is the study of the physics of the behavior of particles at the atomic and subatomic level. Since its birth in the early 20th century, quantum mechanics has been one of the most mysterious and exciting branches in physics in which its study and research has produced some of our modern inventions, such as the computer, personal electronics, and the laser, among other things. 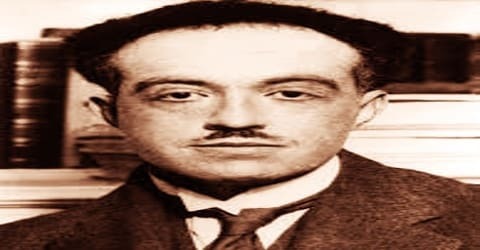 This lesson will examine the experiments and theories of Louis de Broglie that led to his groundbreaking contributions while also exploring his personal life. This concept forms the core of the quantum mechanics and for his groundbreaking contribution to quantum theory, de Broglie won the Nobel Prize for Physics in 1929. Born in an aristocratic family, Broglie along with his brother defied the family tradition of serving as diplomats by taking up science. Interestingly, Broglie’s first love was history but he was soon enticed by the mysteriousness of science and made his foray into the subject. While doing research for his PhD thesis he unearthed the wave nature of electrons, thus leading to the discovery of a new field of physics, wave mechanics. Throughout his life, he held important academic positions including seat 1 of the Académie française, and as the Perpetual Secretary of the French Academy of Sciences. He made a major contribution in fostering international scientific co-operation. In his life, de Broglie was recognized by prestigious institutions and was awarded highly-esteemed honors. Louis de Broglie, in full Louis-Victor-Pierre-Raymond de Broglie (French: dəbʁɔj or dəbʁœj), was born on the 15th of August 1892 in Dieppe, France to an aristocratic French family. He had an elder brother, Maurice, who too went on to become a physicist. 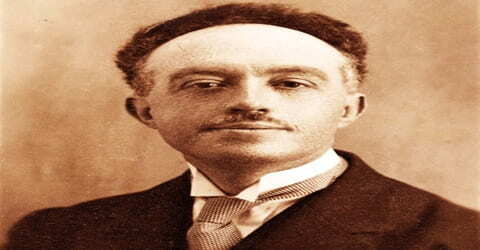 De Broglie grew up in a rich, aristocratic family. He chose to study history after passing his school-leaving certificate in 1909 and he obtained a degree in history in 1910. 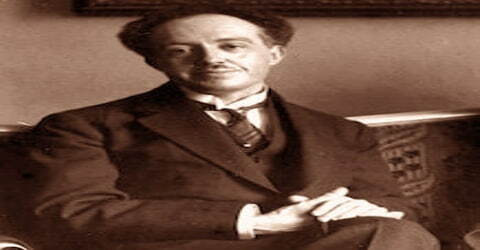 Broglie soon gained an interest in science and acquired a degree in physics in 1913. De Broglie’s brother Maurice was also a physicist who undertook experimental atomic physics experiments in a homemade laboratory at their family’s mansion. However, Louis was more drawn to the theoretical side of physics and gravitated to the field of atomic physics after hearing from his brother about the work being done by the German physicists Max Planck and Albert Einstein. During World War I, De Broglie was enlisted in the French Army. He was posted in the Eiffel Tower, where he had plenty of time to carry out experiments in radio communications and engineering. After the war, Broglie started working with his brother, Maurice, in his lab. Louis de Broglie lived the life of a bachelor all through. Louis de Broglie had intended a career in humanities and received his first degree in history. Afterward he turned his attention toward mathematics and physics and received a degree in physics. With the outbreak of the First World War in 1914, he offered his services to the army in the development of radio communications. Post World War I, he resumed his studies of general physics. He began working with his brother, Maurice, in his lab. Maurice’s work involved X-Rays, and it was here that de Broglie got the idea of wave-particle duality. In 1924, De Broglie submitted his thesis, Recherches sur la théorie des quanta (Research on the Theory of the Quanta) at the Faculty of Sciences at Paris University. Through it, he introduced his revolutionary theory of electron waves. He was awarded a doctorate degree. His thesis presented a series of important findings that changed the way people perceived the physical phenomena on an atomic scale. Popularly known as the de Broglie hypothesis today, his postulated that any moving particle or object has an associated wave. With this, he created a new field of physics, wave mechanics that unites the physics of energy and matter. De Broglie’s theory resolved and offered an explanation to a question that was brought up by calculations of the motion of electrons within the atom. It was later independently proved in 1927 by G.P. Thomson and Clinton Davisson and Lester Germer that matter actually could show wave-like characteristics. Louis de Broglie won the 1929 Nobel Prize in Physics for his amazing work. De Broglie’s hypothesis was supported by Einstein and in 1927, electron diffraction experiments of Davisson and Germer confirmed that electrons have wave-like properties. After attaining his doctorate degree, he took up teaching position at the Sorbonne, where he served for two years. Meanwhile, he continued to publish original work. De Broglie stayed at the Sorbonne after earning his doctorate, being appointed a professor of theoretical physics at the newly-established Henri Poincaré Institute in 1928, where he remained until his retirement in 1962. In 1933, De Broglie became a member of the Académie des sciences and served as the academy’s permanent secretary for mathematical science since 1942. Though he was offered to join Le Conseil de l’Union Catholique des Scientifiques Francais, he declined the same due to his atheist beliefs. In October 1944, De Broglie was elected to the Académie française and was received by his brother Maurice. The subsequent year, he was appointed as the advisor to the French High Commission of Atomic Energy. In his later career, De Broglie worked to develop a causal explanation of wave mechanics, in opposition to the wholly probabilistic models which dominate quantum mechanical theory; it was refined by David Bohm in the 1950s. The theory has since been known as the De Broglie-Bohm theory. In addition to strictly scientific work, de Broglie thought and wrote about the philosophy of science, including the value of modern scientific discoveries. In addition to winning the Nobel Prize for Physics, de Broglie received, in 1952, the Kalinga Prize, awarded by the United Nations Economic and Social Council, in recognition of his writings on science for the general public. He was a foreign member of the British Royal Society, a member of the French Academy of Sciences, and, like several of his forebears, a member of the Académie Française. In 1961, De Broglie received the title of Knight of the Grand Cross in the Légion d’honneur. De Broglie was awarded a post as counselor to the French High Commission of Atomic Energy in 1945 for his efforts to bring industry and science closer together. He established a center for applied mechanics at the Henri Poincaré Institute, where research into optics, cybernetics, and atomic energy was carried out. He inspired the formation of the International Academy of Quantum Molecular Science and was an early member. In 1929, Louis de Broglie was awarded the Nobel Prize in Physics for his research papers on the theory of electron waves. His revolutionary theory led to the creation of the new field of wave mechanics in physics. The same year, the Academei des Sciences bestowed him with the inaugural Henri Ponicare Medal. In 1932, De Broglie was conferred with the Albert I of Monaco Prize. In 1938, he received the Max Planck Medal. In the same year, he was made a Fellow of the Royal Swedish Academy of Sciences. In 1944, De Broglie was made Fellow of the Academie francaise and in 1953 was made Fellow of the Royal Society. In 1952, UNESCO awarded him the inaugural Kalinga Prize for popularizing scientific knowledge amongst layman. In 1956, he received the Gold Medal of the French National Scientific Research Centre. In 1961, De Broglie received the title of the Knight of the Grand Cross in the French Legion d’honneur and is an Officer of the Order of Leopold in Belgium. Louis de Broglie died on March 19, 1987, in Louveciennes, France. He was 94 years old. His funeral was held 23 March 1987 at the Church of Saint-Pierre-de-Neuilly. After his death, he was succeeded as Duke by a distant cousin, Victor-François, 8th duc de Broglie. De Broglie’s developed the revolutionary theory of electron waves, which formed the basis of his research thesis paper. Based on the works of Max Planck and Albert Einstein, he worked on the wave-particle duality theory of matter and came out with the notion that every moving object or particle had an associated wave. His theory led to the creation of a new field in physics, wave mechanics. The theory was widely accepted after the experiment by Davisson and Germer proved that matter showed wave-like characteristics. Louis de Broglie has received honorary doctorates from various prestigious and established universities around the globe including the Universities of Warsaw, Bucharest, Athens, Laussane, Quebec and Brussels. Additionally, he is a member of eighteen foreign academies in Europe, India and the United States.